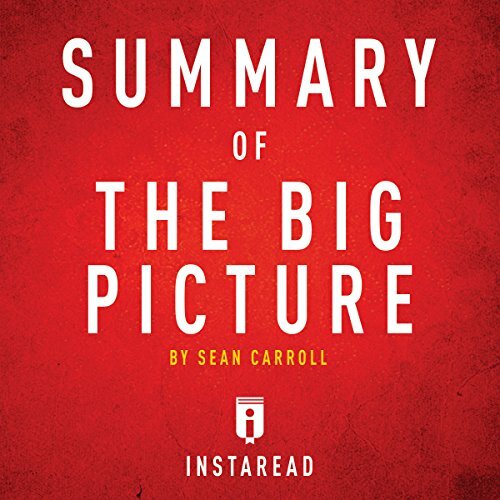 The Big Picture by Sean Carroll is a scientific exploration of many essential questions of humanity, such as the meaning of life and the origin of the universe, considered from a poetic-naturalist perspective. "Poetic naturalism" is a way of describing the world that relies on observations and the use of consistent language when describing it. Consistent descriptions of phenomena consider only one microscopic or macroscopic layer of cause and effect at a time and accept that traits in the macroscopic level can be "emergent" from seemingly unrelated causes on the microscopic level. Using this ontology, scientists can establish that all things have a cause and that the universe contains all of the necessary information in the present moment to determine what will happen in the next. By applying Bayesian inference, a way of calculating probabilities using prior knowledge in addition to evidence and experience, this ontology can address major questions. Basically a flashcard rehash of widely known theories. I found it to be quite tedious. Disappointing.